Fixed the code and put it back up top. Have you thought about any names yet. Leerscape, Uscape(theres a youscape game so Idk), Graycastle, Hiemlease, Grass and Fire(I'm thinkin make a volcanic lookin region or not it doesn't have to make sense). Googled to see if they were used yet and they are not. Now say "the Game" after each one . I like coming up with names just thought of the first two since you said it was gonna be a bit like runescape. By the way I like the farming thing you got going on there. Thanks for that I'll be sure to give it a go soon. What do you think about Lodescape for a name? Been following the progress of this game and I'm enjoying it. Keep it up! It looks like you could do with polishing up a few things of the game. Don't worry, I make things and then just leave them too . But it might be a good idea to sit down for a day and clean up everything like the player walking animation, that tree stump and maybe make your own art? (I'm not sure, but I don't think that's yours) I could be wrong though. Player animation has been added. I gotta get to that stump thing soon. Right now I'm focusing on transitioning this game into a true rpg game. 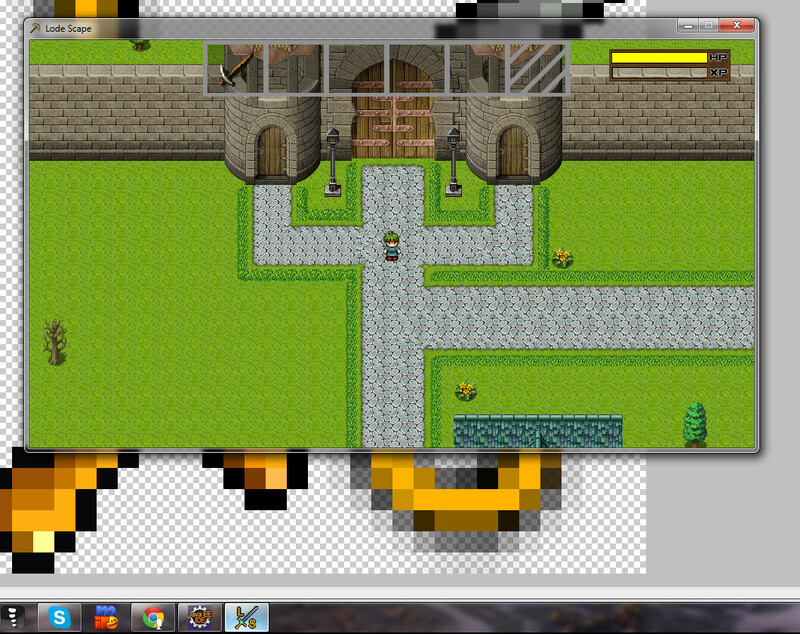 I'm just finishing up collision detection then I'll post that so you can see how its going. Thanks for the input! Collision Detection is completed and ready for a public release! I know theres not much you can do yet but it's cool and its much different looking than the previous versions - but its getting ready for its RPG potential. Also its name has been changed to LodeScape! Looks really good. Are you gonna be keeping the farming, mining and all that? Yes, there will be a small intro/tutorial quest, but then you will be able to go mining and farming and gave a little more freedom although that city in the preview will be your home. Also you will be able to trade with the locals for other items. Cool sounds like you got quite a thing, can't wait to see more. Are those your own sprites or did you barrow them? If they're not, don't worry about it until later I was just curious. Haha, I swear I spent a week making a tileset that I'm not even gonna use yet because I'm having mixed feeling about it being a ASCII game or not. I can't wait to get mine where its presentable, right now I'm kinda struggling getting the core of the game where I want it to be. Redid the engine like 3 or 4 times and now I might redo it again (uhh) its because I kinda want to use the same engine for multiple different game types. I would say about 1/4 of the images i have made. Unfortunately im not that good at art. Why not try using libgdx? That's really cool. Had a game. I pressed I for inventory, and zoomed in so much that I was upside down! Looks good and is very smooth. I really wanted to run over the grass, and move a bit faster tho. I know its early in the dev, but its also odd how your sword only shows in left/right facing view. I'm sure you have plans to fix this. This looks like a great project. Will certainly keep trying your builds. Take a look at the 'Zelda snes sprites' for link. That has sword swinging in all directions. 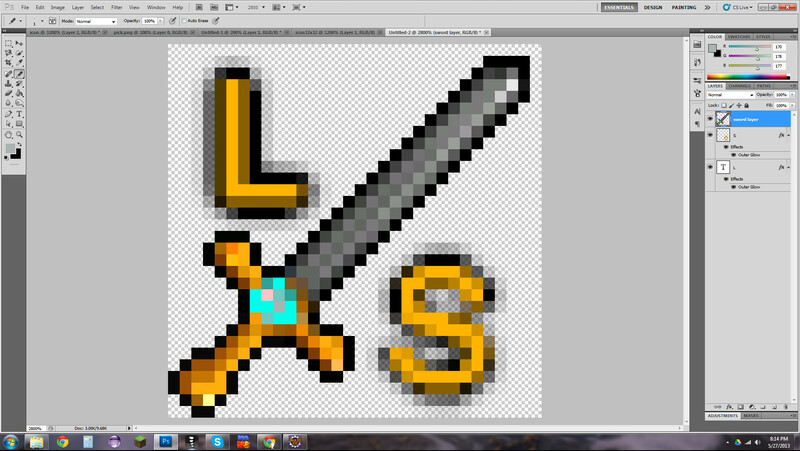 The only difference is on the link sprite, the sword is built into the sprite. Maybe it will help..tho.. If not study other great rpg game sprites. The first quest is about halfway done and I want to share my progress with you guys! At least you can do something now more than just walk around! 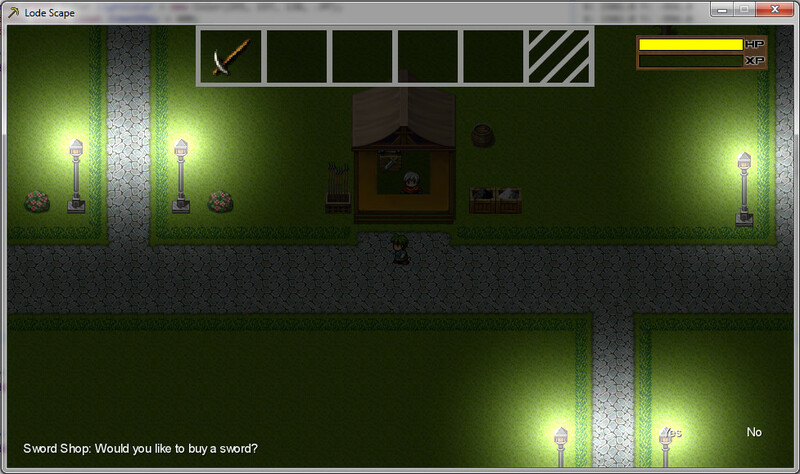 Visit the sword shop to start the quest. Or if your too lazy to play the game heres a video of it all going down! Finally added that trunk art! Wow XD, last 2 videos show major improvements. Thanks a lot! Unfortunately I have some finals this week so I think development will slow down or stop for a little while :/This shows how much i can do when I actually get 2 days to work on this. Finished day / night cycles sometime yesterday. I have began mob spawning at night but did not finish, I'll work on it as soon as I can. Try putting the jar in its own folder and running it, I think that will solve it. I've been meaning to fix that for a while now. I am in the process of fixing that bug right now. What version of OpenGL is it using? 2.0. The cause of that black was the texture being too big, but I think that I just fixed that.